One goal I had for this year was to shorten my list of middle grade books to read, and so far I’ve been doing a fairly good job. 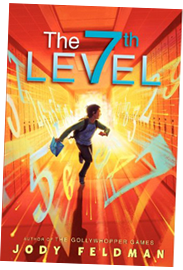 THE SEVENTH LEVEL has been on the list for some time – all the way through its hardcover and soft cover release. It’s finally off my list, and I highly recommend it to those who like a contemporary mystery of sorts. Jody Feldman’s previous middle grade book is THE GOLLYWHOPPER GAMES, which might also be worth a future look. 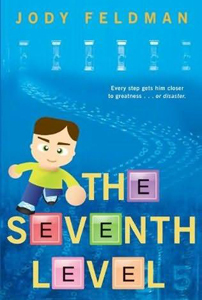 FULL PLOT (FromAmazon): So there’s this kid named Travis, and it’s like he has magnets burrowed under his skin. Not normal magnets, but ones marked Trouble. Problems race toward him and stick. Then there’s this secret society at his school. The Legend. Every kid wants to be in it, but no one knows how you get there. The Legend even sent a group of kids to the last Olympics. All the way there. Paid for it and everything. Now, there’s a blue envelope in Travis’s locker. The message inside looks like, maybe, it’s from The Legend, and they may have chosen him. Really? Is that possible? Only one way to find out. Do what that message – all the messages – say. Travis Raines, the main character. What a great kid – trying to do better when his past is far from spotless. He faces his decisions while trying to balance what is right and wrong. The puzzles Travis has to solve to be considered for the secret club were different and fun. I found myself trying to figure each one out before the answer was revealed. They were not easy. I solved only about three of them and wracked my brain doing so. The improvement in the book covers from the drab blue one for the hardback (looks like an ad for a not so good video game) to the intriguing orange colored choice for the soft cover. It begs to be picked up and explored. A puzzling mystery for sure. There’s even a subtle change in the wording of the title from cover to cover. A great fast paced read that both boys and girls would enjoy. Themes of friendship, camaraderie, problem solving, and keeping secrets hit home no matter who is reading. The change in relationship Travis has with two characters, an adult administrator and Randall, his “oaf” of an enemy. Things do not always appear as they seem. In the time it takes her to tear open a Band-Aid, her face changes from Nurse Mom to Judge Mom. 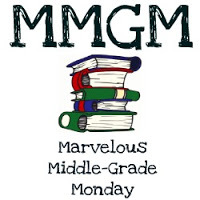 This entry was posted in Reviews and tagged Jody Feldman, Juvenile fiction first person, Middle grade, Middle Grade Book Reviews, The Seventh Level. Bookmark the permalink. Glad you’re getting your TBR list down. This sounds like a good story. I like the idea of the mysterious note. Thanks for sharing about this. Yay for reducing the TBR! Speaking of that, I am totally adding this one to mine. Sort of like Osmosis for us book nerds? I’m a hardcover book lover but I do love the paperback cover on this one. looks totally intriguing. going on my TBR list… which is already too long. Sounds great, and I appreciate that you put “5 likes” in list form, because I love lists.